American Girl® Unveils New Store for Girls in Denver | Mattel Inc.
Middleton, WI (February 16, 2010) — Excitement levels are about to reach "mile-high" proportions for girls in Denver as American Girl prepares to open its new experiential retail store on March 27, 2010. Located just minutes outside of Denver in the spacious Park Meadows lifestyle shopping venue, the 8,500-square-foot store will offer an unforgettable shopping experience and engaging activities for girls, such as designing a doll-sized T-shirt or giving their dolls a new hairstyle in the signature Doll Hair Salon. "We're thrilled to bring this exciting retail concept to the legions of American Girl fans in Denver and the surrounding areas," says Ellen L. Brothers, president of American Girl. "The new store allows us to provide even more girls with a fun way to enjoy the American Girl experience." The American Girl Denver store will feature a complete assortment of the company's popular historical and contemporary dolls, along with a wide selection of doll outfits, accessories, and Dress Like Your Doll® clothing and a variety of the company's best-selling books. For a girl who wants to treat her doll to a new look, a visit to the Doll Hair Salon is a must. She can drop off her doll to receive salon services-from ponytails to pampering to pierced ears-or watch as trained stylists work their magic. For fashionable young fans, the store will feature a "Creativi-tees" boutique, currently exclusive to the New York and Chicago locations, where girls can create stylish T-shirts for their dolls. 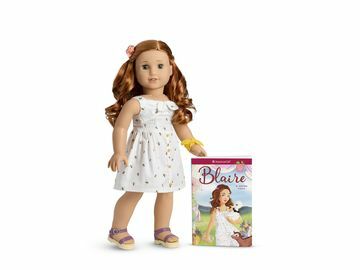 Girl-friendly events and activities based on the American Girl characters and award-winning books will also be available throughout the year. American Girl Brands, LLC, is a wholly owned subsidiary of Mattel, Inc. (NASDAQ: MAT, www.mattel.com), the world's leading toy company. Since American Girl's inception in 1986, the company has devoted its entire business to celebrating the potential of girls ages 3 to 12. 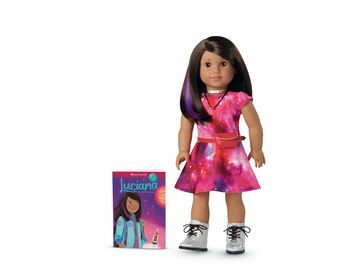 American Girl encourages girls to dream, to grow, to aspire, to create, and to imagine through a wide range of engaging and insightful books, age-appropriate and educational products, and unforgettable experiences. In meeting its mission with a vigilant eye toward quality and service, American Girl has earned the loyal following of millions of girls and the praise and trust of parents and educators. To learn more about American Girl or to request a free catalogue, call 1-800-845-0005 or visit www.americangirl.com. Park Meadows is Colorado's only retail resort. Thoughtfully conceived and meticulously executed, the 1.6-million-square-foot super-regional shopping center combines the best of the Colorado outdoors with 180 of the finest retailers and restaurants in America. Home to Nordstrom, Macy's, and Dillards, other top names include Crate & Barrel, Pottery Barn Kids, Ann Taylor, Janie and Jack, Anthropologie, Sephora, PF Changs China Bistro, Brio Tuscan Grill, and The Cheesecake Factory. For more information on Park Meadows, visit www.parkmeadows.com.